Backed by an unparalleled legacy, Mason Bruce & Girard is one of the nation’s premier natural resource consulting firms. 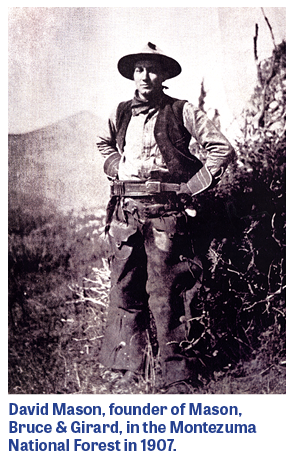 Mason, Bruce & Girard, Inc. (MB&G) was founded in 1921 by David Mason, an early and vocal advocate for sustained yield forestry, soon after the 1920 publication of his landmark research on the timber industry and lumber production in the Pacific Northwest. In addition to becoming known as one of the nation’s leading advocates of sustained yield forest management, Mason also called for more professionalism in the industry. In 1936, he created a partnership with Donald Bruce. Shortly thereafter, James Girard joined the group, and in 1948 the firm adopted its present name: Mason, Bruce & Girard. By the middle of the 20th Century, MB&G’s influence on the forestry industry was second to none. In fact, in 1952 F.K. 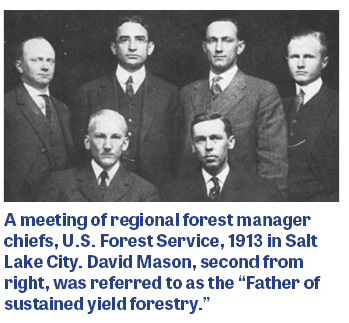 Weyerhaeuser said of David Mason: “No single person has been more influential in promoting sound forest management on private forest lands than he.” Read more about Mason’s legacy at The Forest History Society. In the last twenty years, MB&G has evolved into a full-service natural resources consulting firm with expertise in environmental services, geographic information systems (GIS), and of course, forestry. We are headquartered in Portland, Oregon, and have offices in California, Colorado, and Southern Oregon. MB&G has 55 employees who provide customer-focused service to help solve some of the most complex natural resource management projects. We pride ourselves on providing excellent service by understanding our clients business and their long-time goals. And for many clients, which we have standing on-call agreements, we essentially act as an extension of their office and personnel. Today, our firm continues to grow with the demands of our clients. Even though Foresters still rely on the log volume tables created by Jim Girard and Donald Bruce, we continue to develop science-driven service and technology for the changing environment.